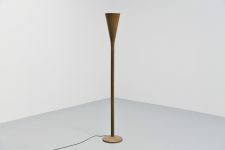 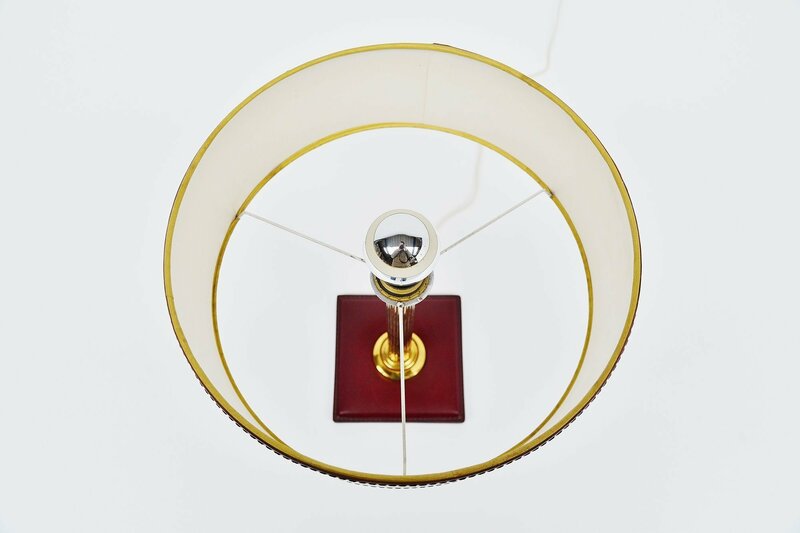 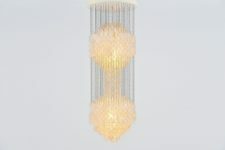 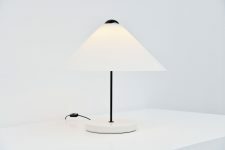 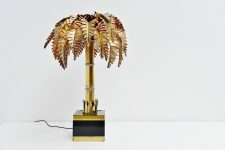 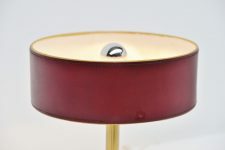 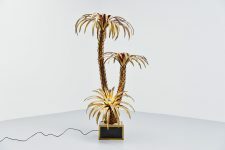 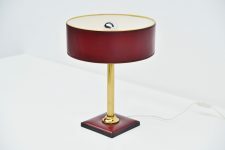 Very nice and highly decorative table lamp designed by Jacques Adnet, France 1960. 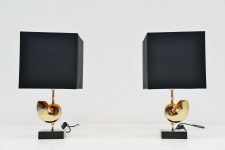 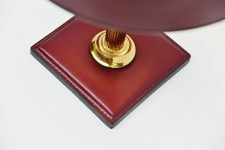 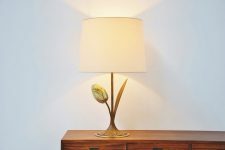 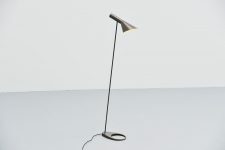 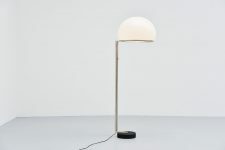 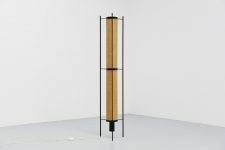 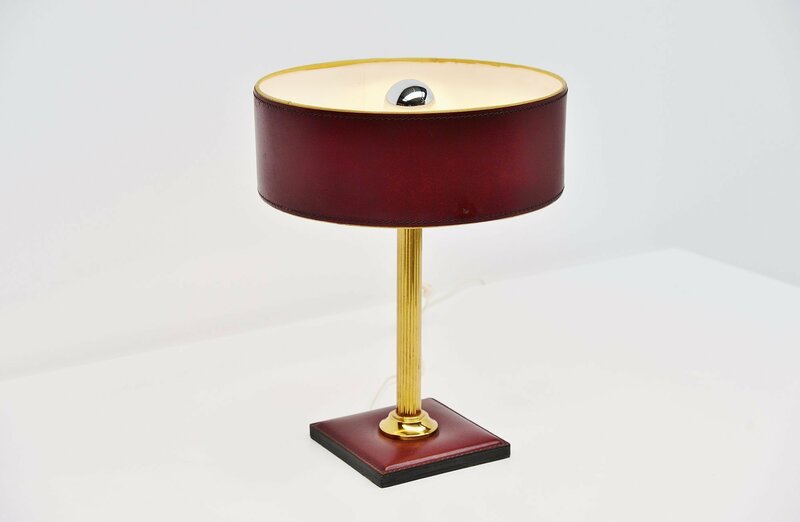 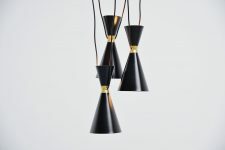 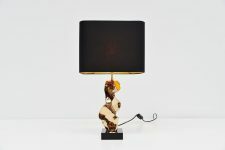 This leather clad table lamp has a square shade and a brass stem, the shade is made of leather too. 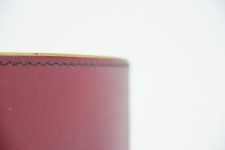 High quality stitching on this lamp. The lamp is in very nice classic red leather. Nice in contrast with the brass foot. 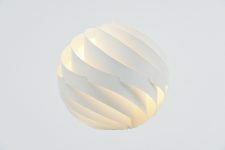 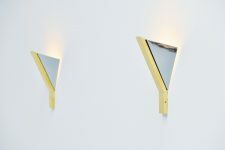 Gives very nice and warm light when lit. 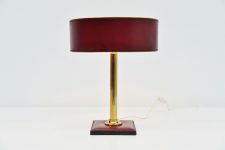 Lamp is in very good original condition. 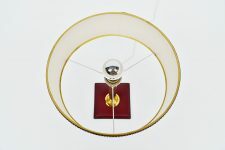 All our lights are checked, cleaned and are suitable for use in the USA. 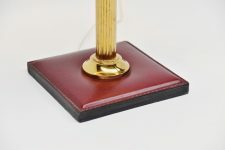 For US usage you would only have to change the plug or get a holiday converter if needed for a floor or table lamp.